Island Bites is a Puerto Rican cook with decades of experience in the kitchen. She's an expert in Latin American cuisine. 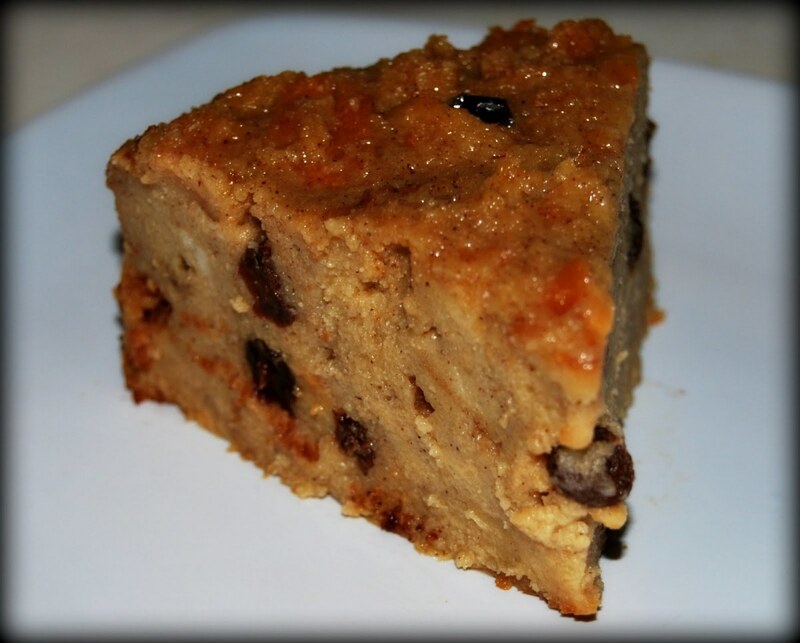 Budín is a bread dessert that's very popular in Puerto Rico and the rest of Latin America. 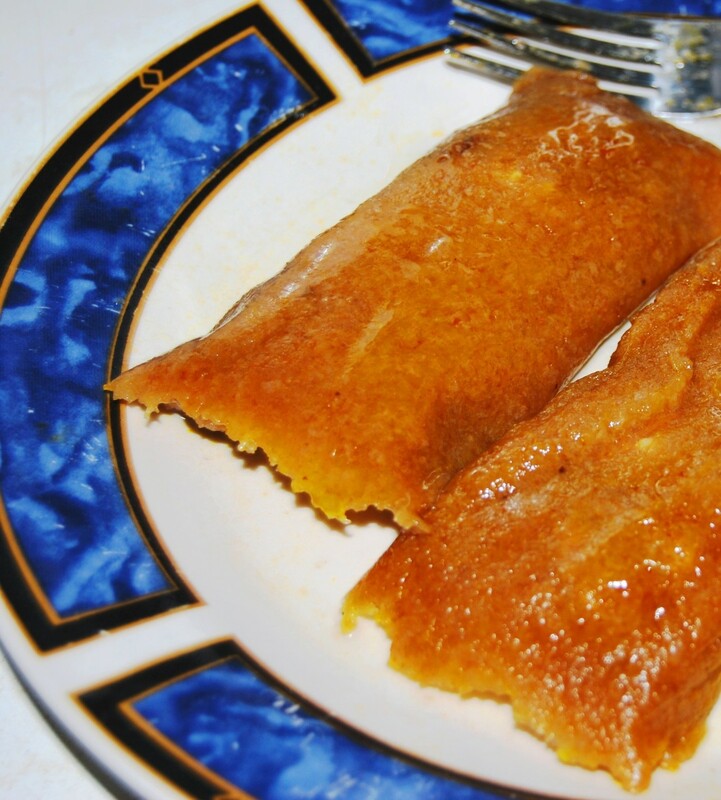 Unlike American bread pudding, Puerto Rican budín is served at room temperature or preferably cold. It's a great way to use stale bread. In addition to bread, raisins are a must in a traditional Puerto Rican budín. It is delicious, inexpensive, and easy to make. In a big bowl, whisk eggs and sugar. Add milk, vanilla, spices and salt. Crumble the bread with your fingers and add to the mix. Whisk until well incorporated. Must be somewhat thicker with little lumps. Let it set for 5 to 10 minutes. Fold raisins into the batter. Transfer to a pre-greased baking pan. Bake at 350 for about 40-45 minutes or until set. 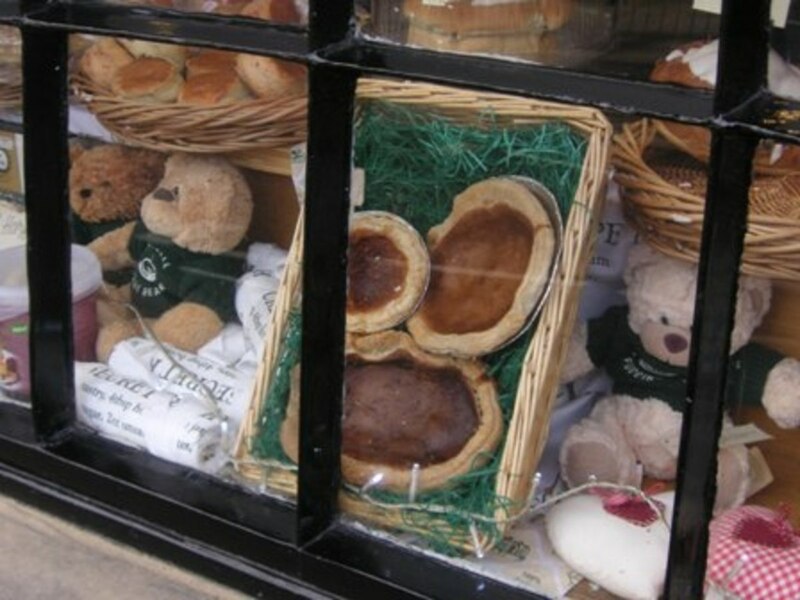 Traditionally, it is served at room temperature or cold. If you don't like raisins, you could use nuts instead. Add a layer of nuts at the bottom of the pan before the batter, for a crunchy topping. You could use coconut milk instead of evaporated milk and garnish with toasted coconut. Soak the raisins in rum for an extra kick. 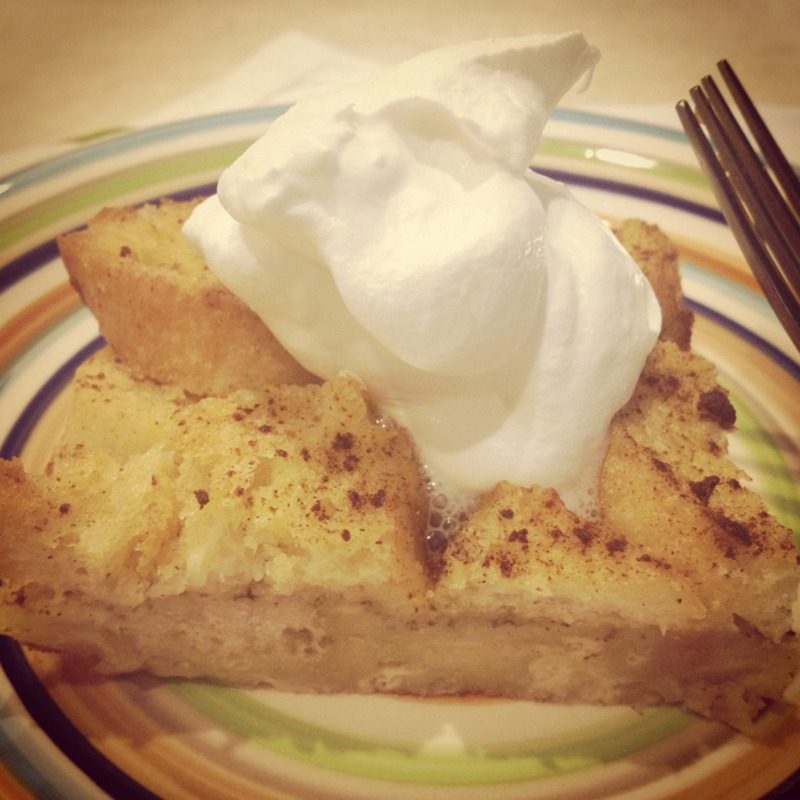 Does your budin bread pudding come out with the caramel-like sauce at the top? Or do I have to make the caramel separately? 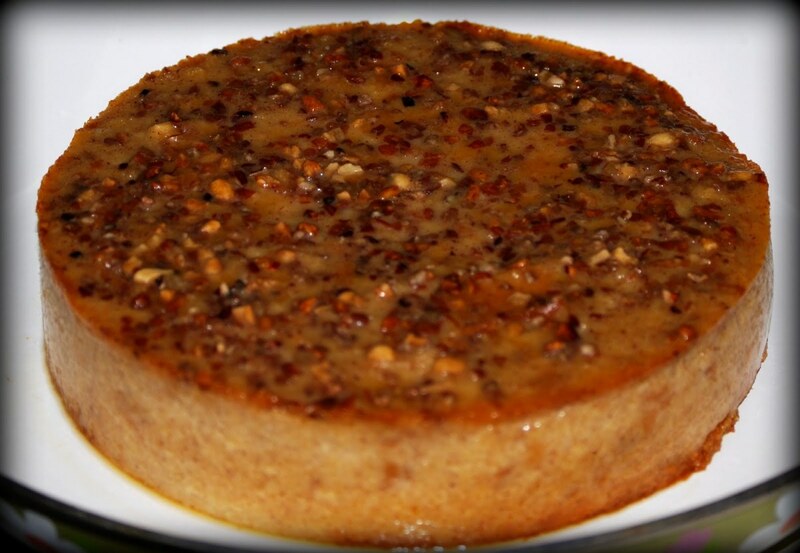 Some people make budin with caramel, as if they were making flan. I do not add caramel to budin. Do I need to dilute the evaporated milk with equal amounts of water when making Budín Puertorriqueño? No water. Just the evaporated milk. What kind of nuts are used on top of Puerto Rican bread pudding? I believe it was mixed nuts. Do you cover your baking dish when baking Island Bites? What size pan should I use for this recipe? It depends, but a size 8 or 9 pan would be ok. You could also make it in a cupcake pan, or whatever else pan you like. 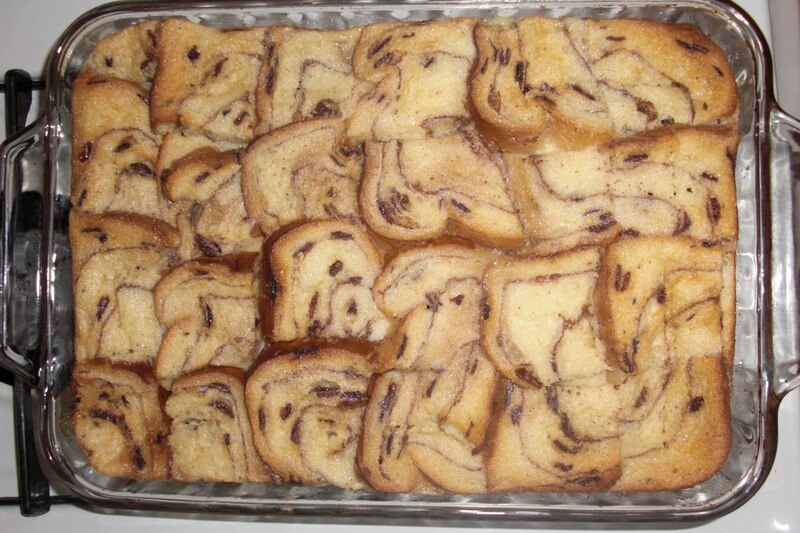 How many servings does this recipe for Puerto Rican bread pudding make? Well, it depends, but at least 8. Thank you. I hope you like it! Thanks for this enticing recipe! I like both raisins and nuts so will splurge on both. I think this will be a big hit! Evaporated milk is not sweet, maybe you're thinking of condensed milk. Also, coconut milk is not sweet, that'd be coconut cream. I personally skip the sugar 100 %, the evaporated milk is super sweet unless “lite” coconut milk also sweet unless again if its lite. Yes, you can. I can't tell you exactly how many slices, but aprox the equivalent of 6 slices of white bread. can i use this recipe using slice cinnamon bread ? Pepperridge Farm how many slice? Pls. thanks !! I honestly have never make it in a cast iron skillet. Your could try. Add raisins according to your liking. Add a small box and go from there, I guess. Good luck!! Can I use a cast Iron skillet to make this and also, how much raisins should I use. Cannot wait to make this for my wife tomorrow!!! Can I use a cast iron skillet? No. Coconut milk is not sweet. If I use coconut milk can I leave out the cup of brown sugar. 8"or 9"should be fine. I have made them in cupcake pans too. What size pan should I use? I think I will. Thanks again, dear. I'll let you know. Hope you like it. Thanks for your comment! I'm glad to know that your recipe includes coconut milk! My family will enjoy this for the holidays. So, I will give it a try. Thanks for sharing. This sounds tasty and easy to make. A winner to me! Do they serve this in heaven?? 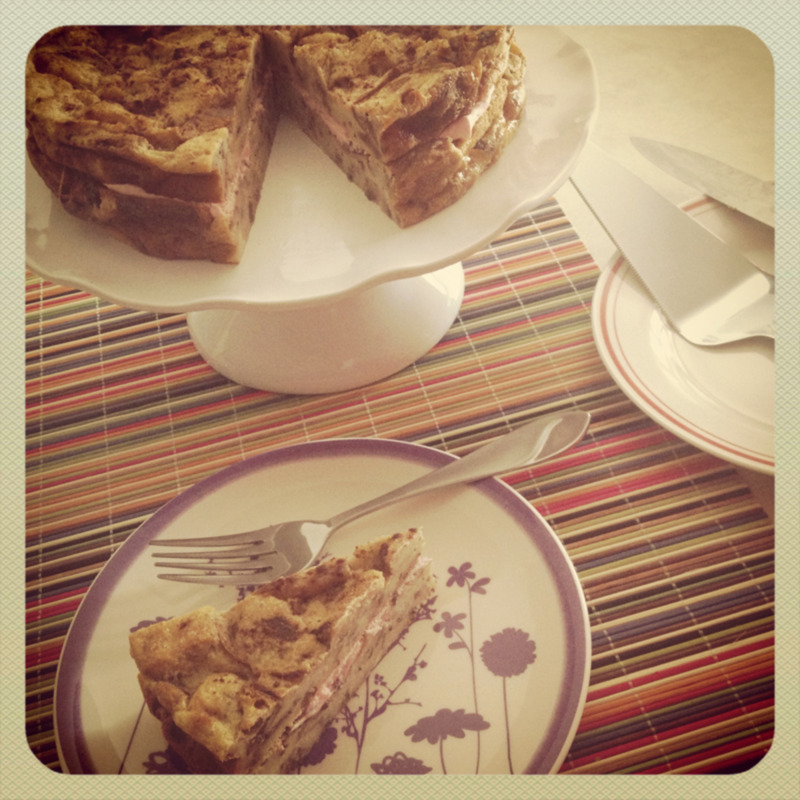 I love bread pudding so o o o o much!! 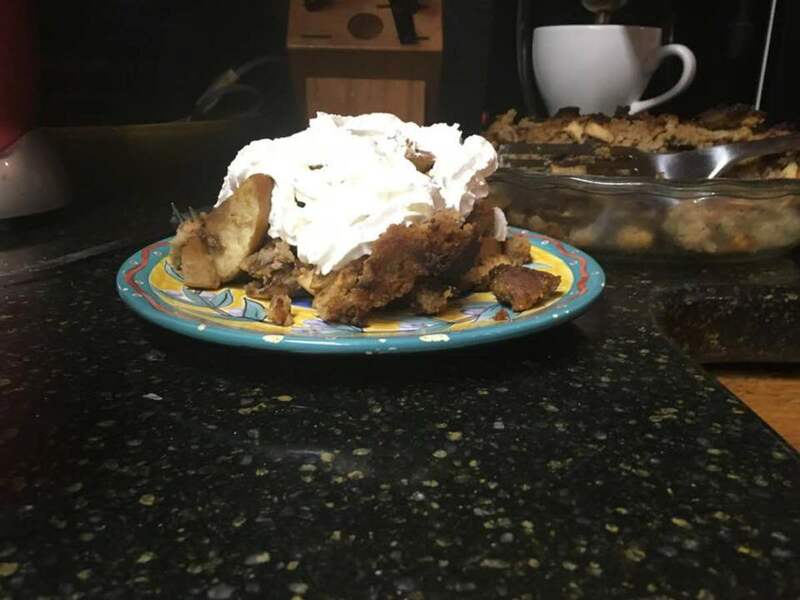 But, this is even better than regular bread pudding, with the cake pan, and the coconut milk, et al . . . .
Es un poco dificil, pues usualmente uso pan blanco (en lascas para emparedados). Me parece que las bolsas son de 16oz. Asi que serian menos de 8oz. Es mas facil hacerlo según la consistencia. Looks like a simple, but yummy recipe. Thanks. This is an excellent recipe. This looks so delicious. I definitely will be trying it. Up, useful and interesting. I hope you like it. Thanks! 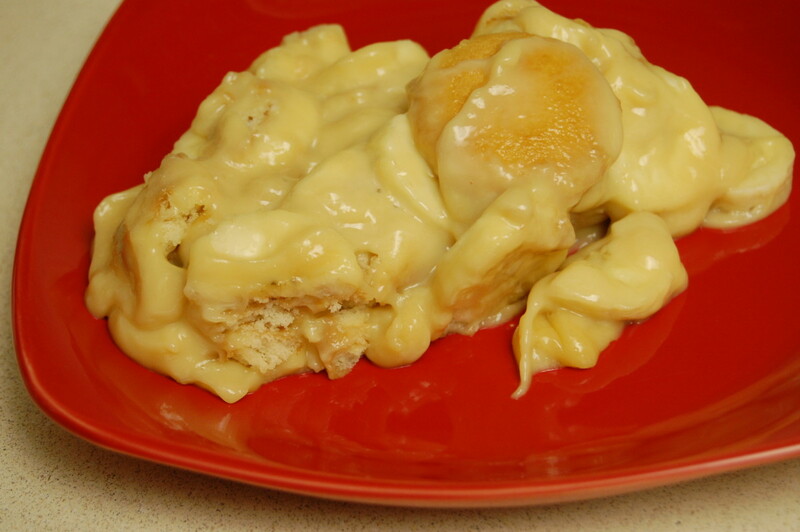 One of my very favorites is bread pudding. Oh, this sounds so easy and delicious. I can't wait to try it. Thank you for the recipe. Voted and sharing. Thanks, Claudia! I hope you try it (and like it). What an easy to make recipe and it look very nice too. I would like to try it one of these days. It is really easy and so good. Thanks! This looks easy and delicious. I will ask my daughter to try them. Thanks for sharing. Glad to bring you back good memories. Thanks! I like it. 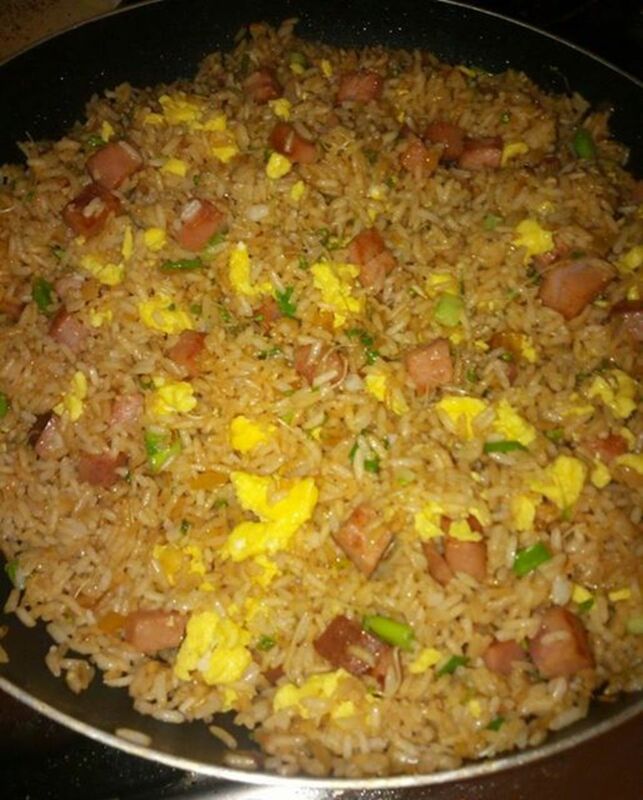 Thanks for sharing this wonderful dish. Its' been years since I've had one of those. Thank you, nArchuleta! It is good. Sounds delicious -- looks yummy, too!